Add these cute little ball topped mushrooms to your garden! 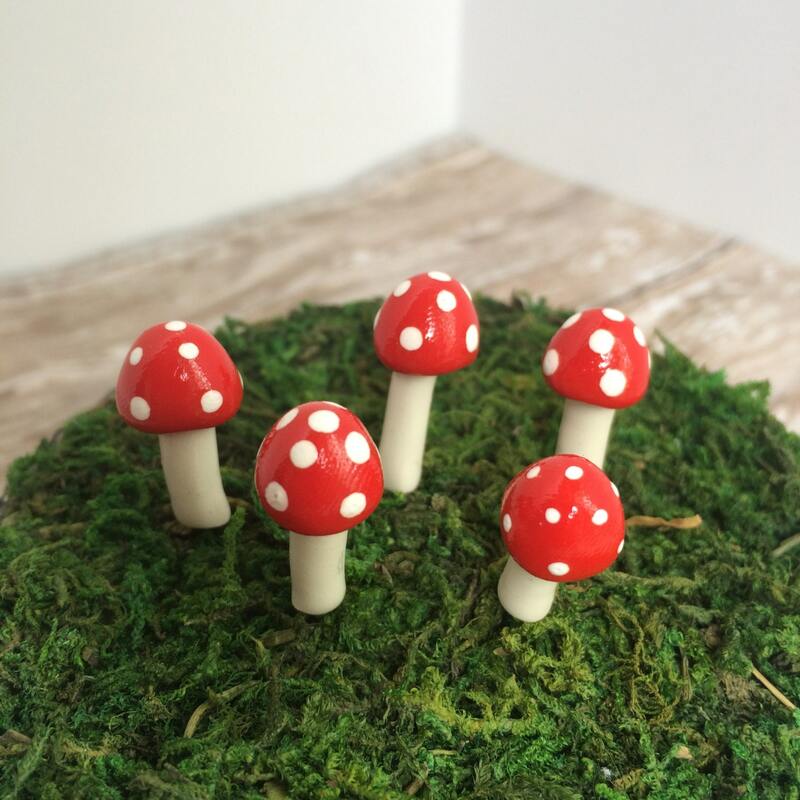 They are about 1 inch tall and are held in place by a wire stem that secures placement in your fairy garden. Item will be packaged carefully to prevent damage during shipping. If you have any questions, please contact me and I will be glad to help you. Do not expose item to prolonged cold temperatures, clay may become brittle and may break. Never received this and shop did not respond to my inquiry. Avoid them!!!! !